As you know I’ve become a big fan of Korean brands and one of my main source for products is an online store called KollectionK.com*. If you follow me on Instagram you would have seen these orders already. 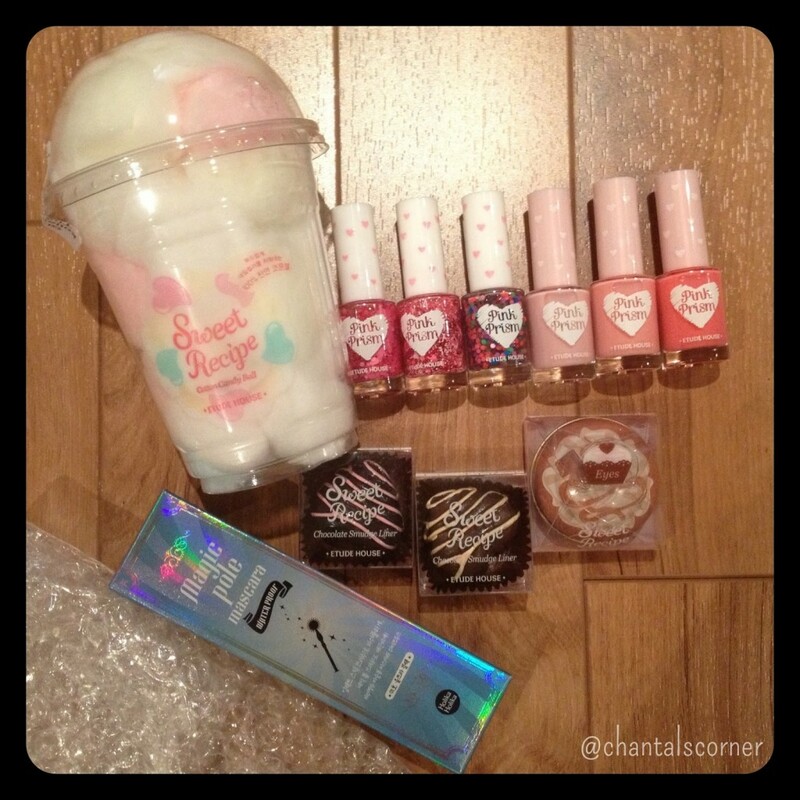 I discovered KollectionK this past spring while looking up Etude House ice cream nail polishes online, which was what my first order with them was all about. And it was while looking up their other products that I discovered the Etude House I Can Fly hand creams (the cute little birdies). I put this order in April and if I remember correctly it arrived in about 10-11 days – super fast! The shipping for this order was $5.12, so roughly $1.03 per item. 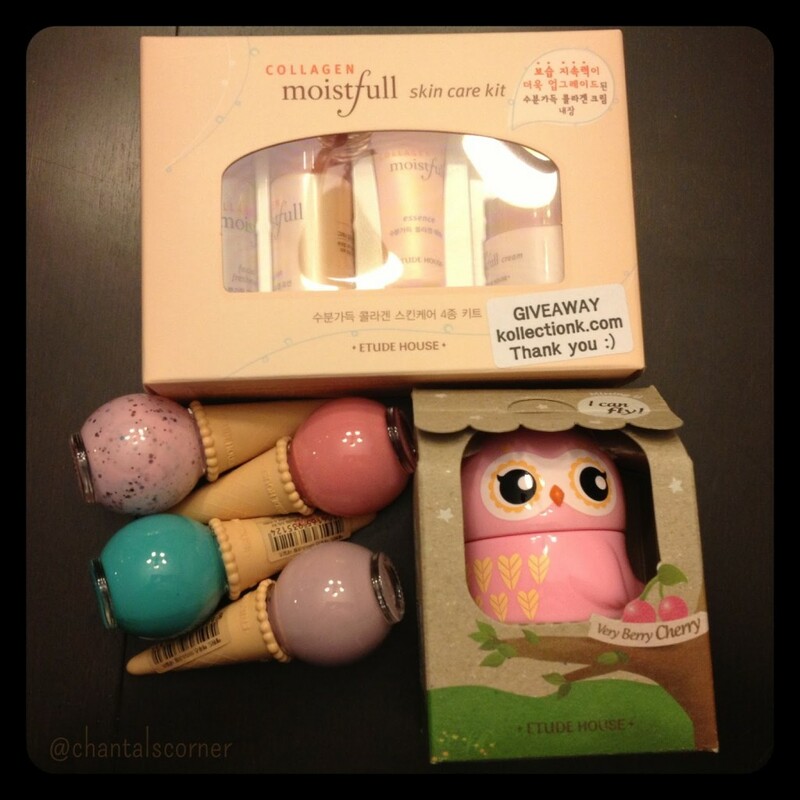 The Etude House Collagen Moistfull Skin Care Kit was a free sample that they added in. There were actually 7 nail polishes in this order because I ordered one in double (saving up for a giveaway), I just didn’t include it in my picture. The shipping for this order came up to $5.12 as well, so roughly $0.47 per item (11 items). 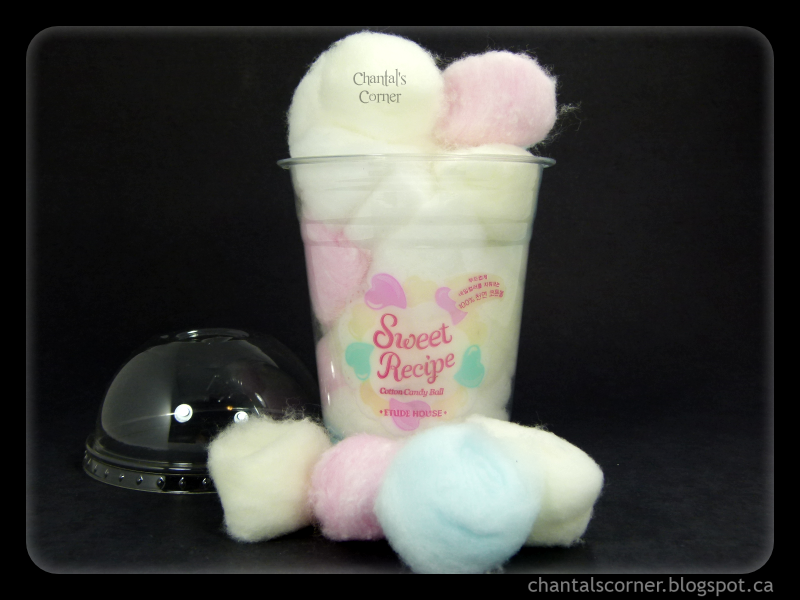 The Etude House Sweet Recipe cotton balls (for nail polish removal) was a free bonus that they added in. How cute are these cotton balls?!? I haven’t had the heart to use them yet. 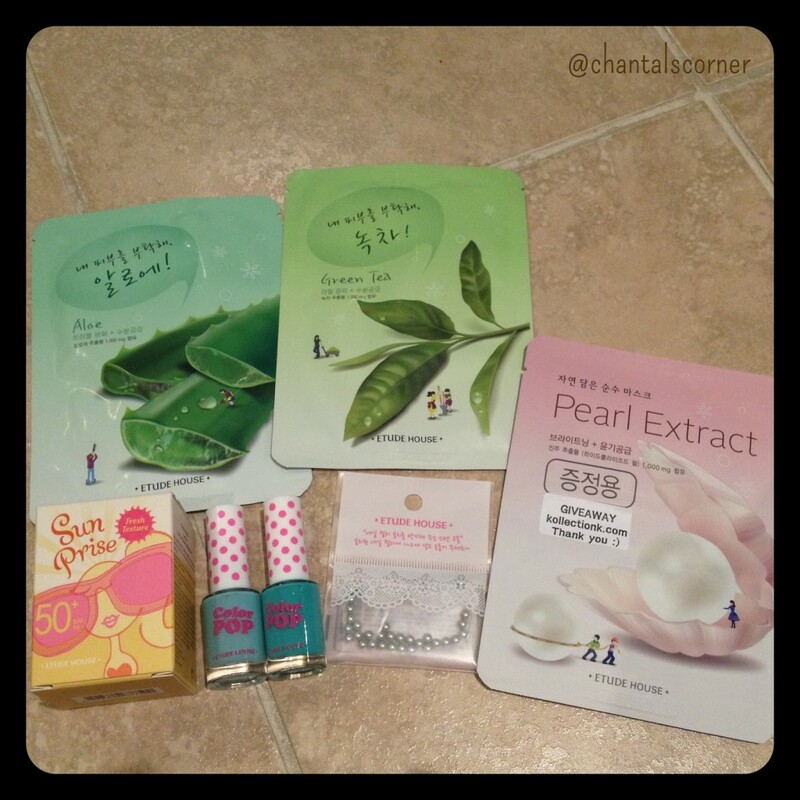 Shipping for this order was $6.15, so about $1.03 per item, and the Etude House Pearl Extra Mask Sheet was the free bonus item this time. As you can see their shipping rates are quite reasonable, and the free samples are always fun to receive! Their shipping is always really fast as well, taking under 2 weeks each time so far. I also subscribed to their mailing list to be notified of sales and new products. Have you ordered from KollectionK.com*? What are your favourite online stores?